When the right conditions are in place, each of the steps in the self-management process can give you an intrinsic reward—a positive boost of energy that you get directly from your work that motivates you to keep performing at your best. The Work Engagement Profile measures these intrinsic rewards. The six types that show up in the Interest Skills Checklist are based on psychologist John Holland`s theory of career choice (1992), one of the most widely researched and recognized theories of career behavior. The Career Types within each category reflect your patterns of interests and skills. Your results from the Work/Life Values Checklist should help you sort out what is important in both your work and your life. You can use these results to find out why a current job is not satisfying-- why you may feel burned out--or to help you evaluate different career and life choices. The Coping Resources Inventory (CRI) tells you about resources you have that can help you handle the stress that is a natural part of life. Identifies hidden roadblocks to any team endeavor. Section 7	Job Suitability Graphs-	Is this the right person for the job? 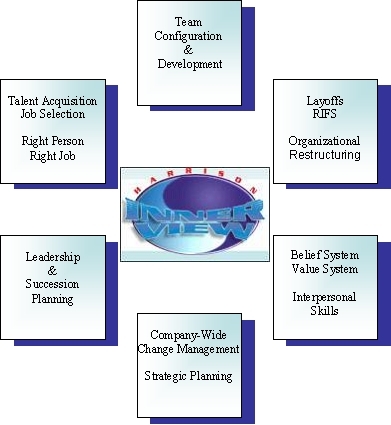 Section 8: 12 Behavioral Dimensions that identify an imbalance in employee capability, limiting their contribution and productivity to the organization.